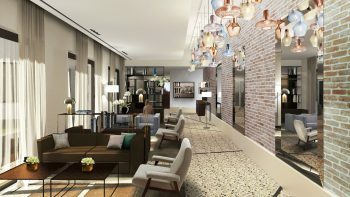 AC Hotels by Marriott Venezia, located in the entrance of the city, perfect point where to start a visit of the Serenissima, is part of Marriott group since January 2018, with the restoration of a building in Piazzale Roma. 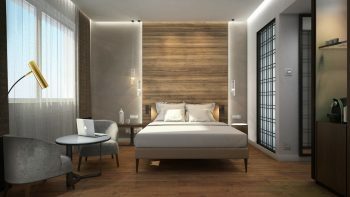 VINN Italia has been part of the comfort preparation of the 79 rooms (among which 3 Junior Suites and 14 Superior) and the efficiency in communication supplying Otrum Enterprise System, managed by ethernet framework, connected to all 49” smart TV Samsung. The platform, installed by VINN Italia provides also an IPTV Headend base unit for receiving, distributing on Ethernet and control the whole package of about 80 tv channels, by satellite antenna or local digital. VINN Italia has also supplied ChromecastTM solution in each room. The Guest can share contents of his devices (as Netflix, You Tube, etc) to the tv. This user friendly solution, can also guarantee a content sharing service respecting maximum security in use of sensitive Guest data. The hotel has also 55” Samsung TV in bar area and a Digital Signage with 55” display. In this occasion, VINN Italia has co-operated with partner Mikenopa, (GPNS Approved by Marriot) for the installation of Wifi system in all the hotel.